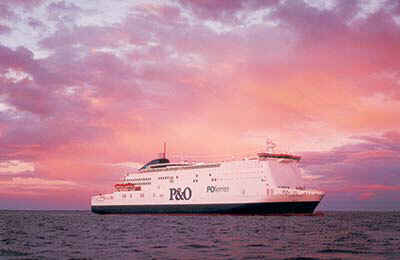 On this page you will find details about the Calais–Dover ferry route. Here at Leisure Direction we aim to make it easy for you to compare ferry companies, times and prices for Calais to Dover in one quick search. Two major operators are currently offering crossings between Calais and Dover: P&O Ferries operate up to 23 sailings a day, with a journey time of 1 hour 30 minutes. DFDS sails up to 10 times daily and the crossing takes 1 hour 30 minutes. You can check for current availability and latest prices and special offers but you can check the current Calais to Dover ferry timetables below. With Leisure Direction you can search for Calais to Dover ferry deals using our booking engine and you will have plenty of time to change your search details, find the best times and dates for your requirements and check that the details of your journey are correct before you make a payment. In our Results Page we also offer alternative routes so you can see all available options and choose the best ferry deal for your needs. We offer a very popular alternative to Calais to Dover ferry route which is Dunkirk to Dover. This route is operated by DFDS and it only takes 2 hours to cross to France. Dunkirk is just 30 minutes from Calais.